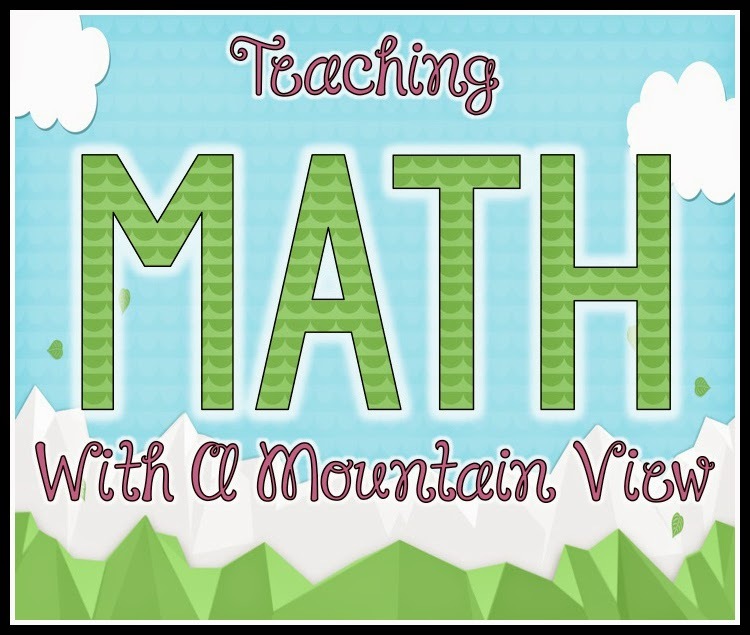 Teaching With a Mountain View: Skittles Math! 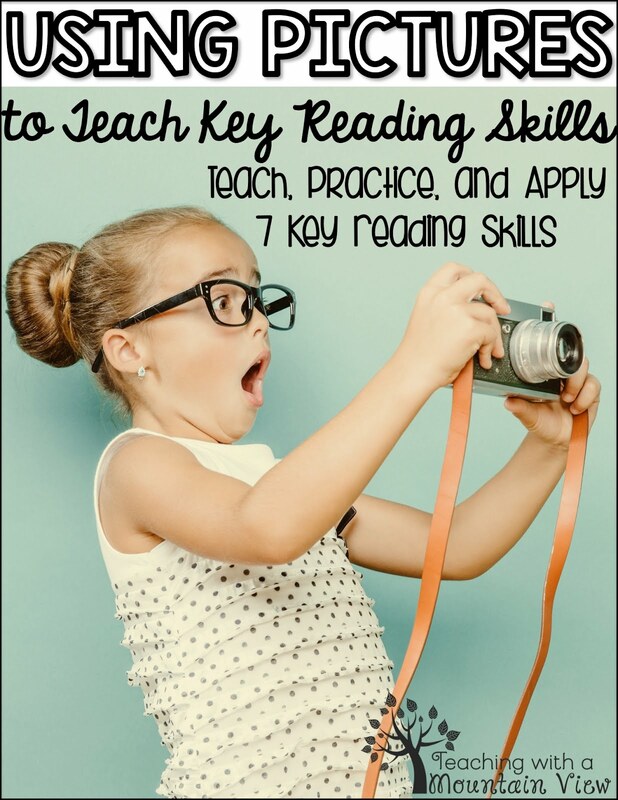 There are a few reasons that I always keep Skittles on hand in my classroom. First of all, they are one of my favorite sweet treats. 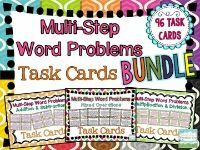 Second, I never know when I am going to need them for some math! My students always get so excited when they see the big bag of Skittles come out, and anything that gets my kids excited and engaged is worth it to me! 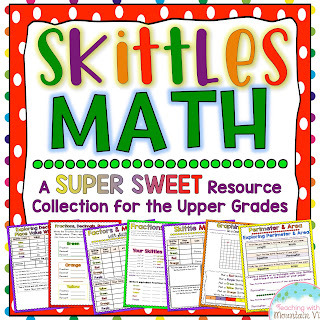 Over the years, I have found dozens of ways to use Skittles to reinforce math concepts. If you do a quick search of my blog for the word "Skittles," you'll see just how many ways I've used Skittles to teach math! Most of the time, it goes really well. 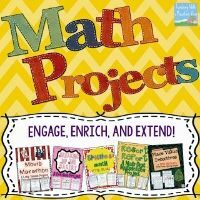 Then, sometimes, it goes really poorly (like the time I tried to use them to teach algebraic expressions to my 6th graders. 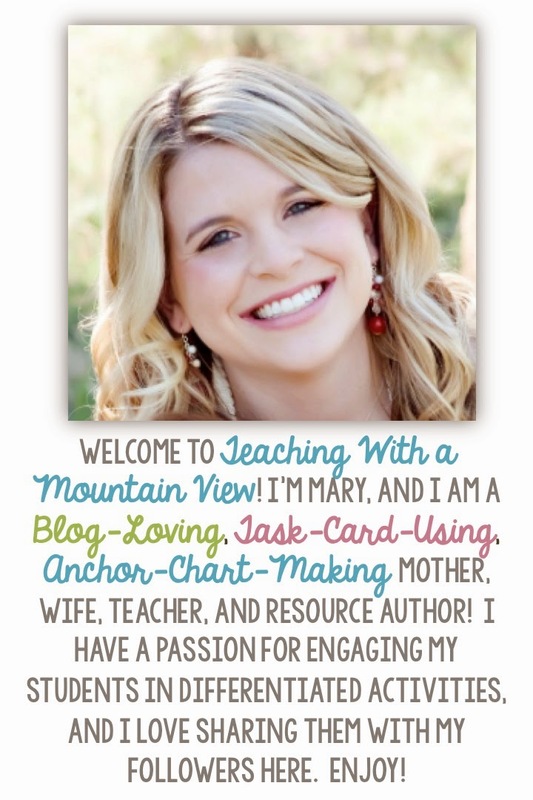 That did not go well, and that's an activity that won't ever be published on this blog! Ha!) 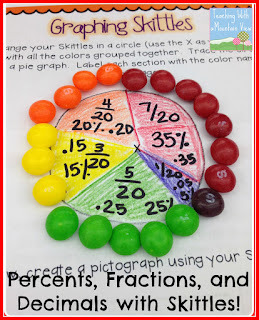 Hands down, my favorite way to use Skittles is when I am teaching students about circle graphs. 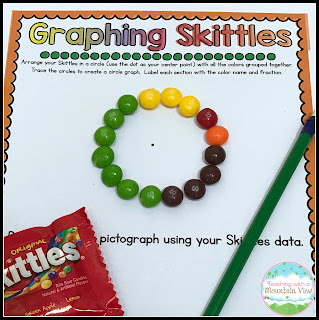 Kids LOVE making Skittle circle graphs and it's a great introduction to the concept! 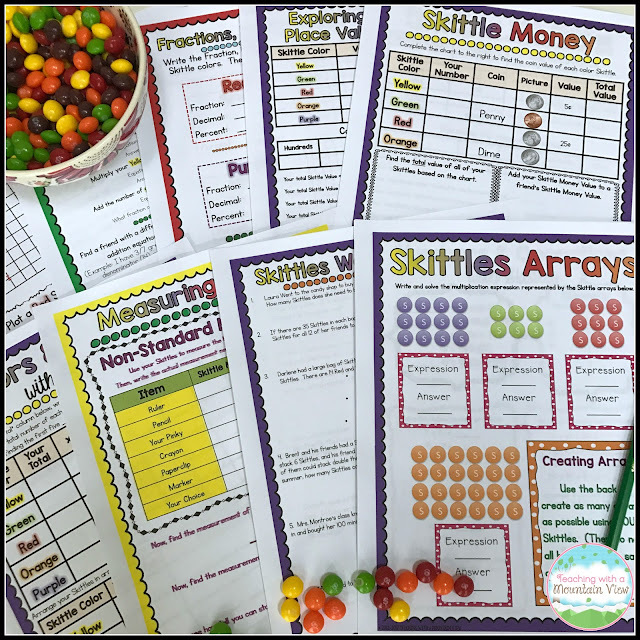 If you have a bag of Skittles, you can easily recreate this activity! 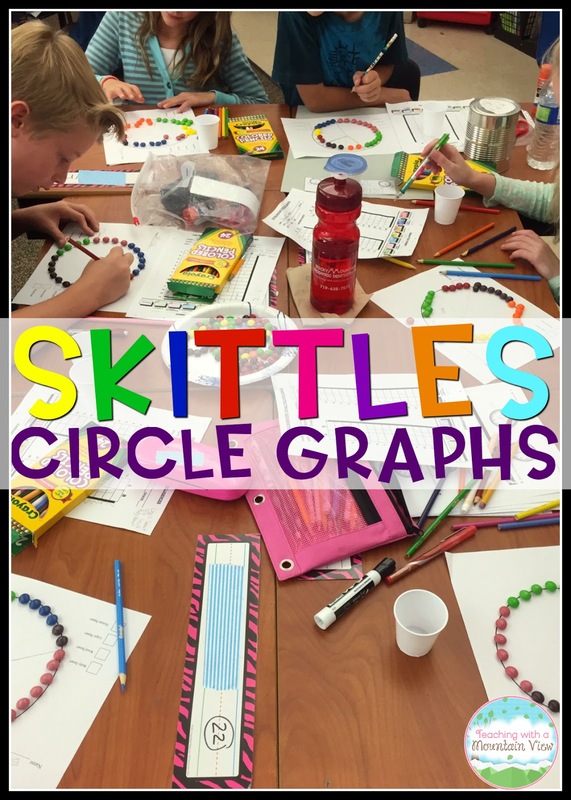 Circle graphs can be SO hard to create and understand, but when you add in Skittles, kids just really seem to get it! 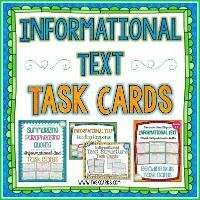 The lesson shown above is actually related to multiple intelligences. 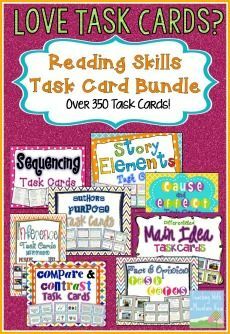 The kids have to do a multiple intelligences quiz to find out their strengths. 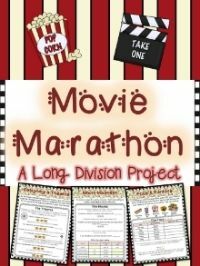 They earn points for each of the different strengths, and the number of points they get corresponds to a Skittle color. 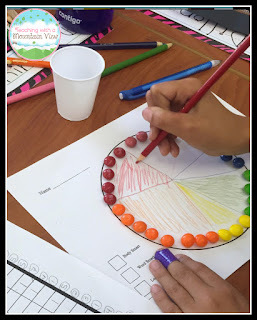 They then create circle graphs with the Skittles to show their distribution of strengths. You can also just give kids a handful of Skittles to do this and they can graph how many of each color Skittle they have. 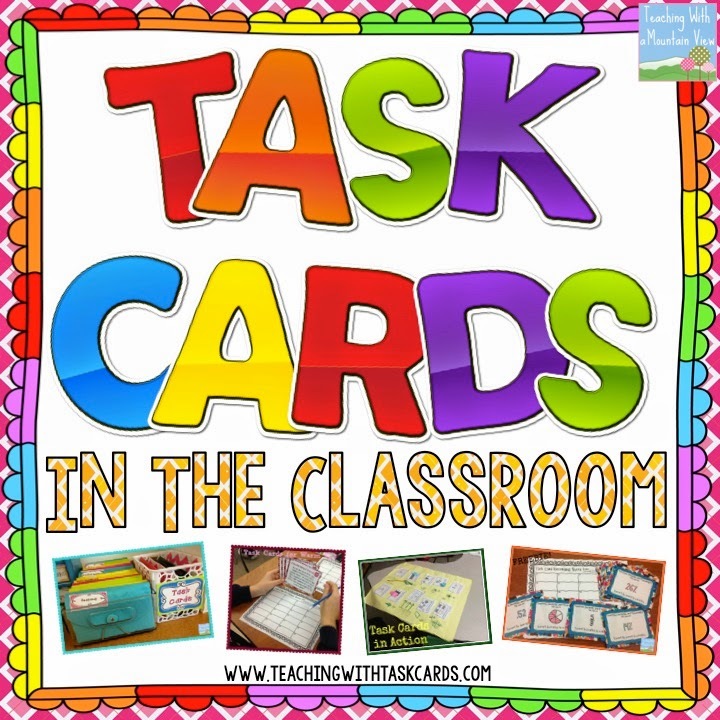 So fun, so easy, and so meaningful! You can even take it a bit further and use Skittles to teach percent, decimals, etc. 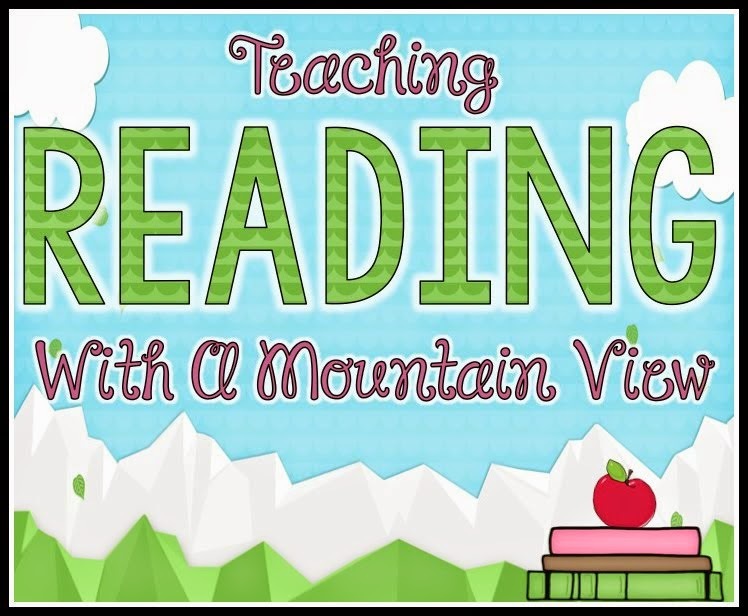 I wrote more about that in THIS blog post. 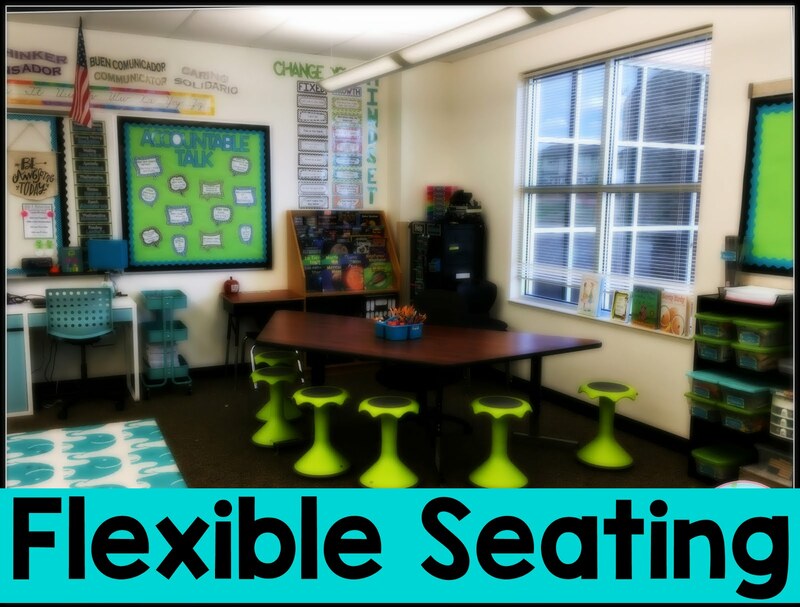 This is an older picture, but it shows all of the possibilities! 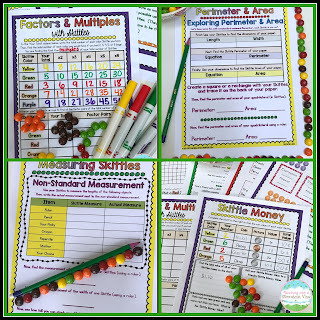 Here are a few more ways that I've created to use Skittles... All of these can be found in my Skittles Math packet available on TpT HERE! 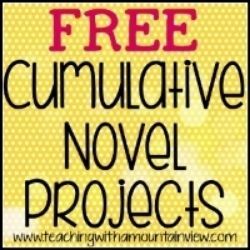 I love using these around Halloween time, too! 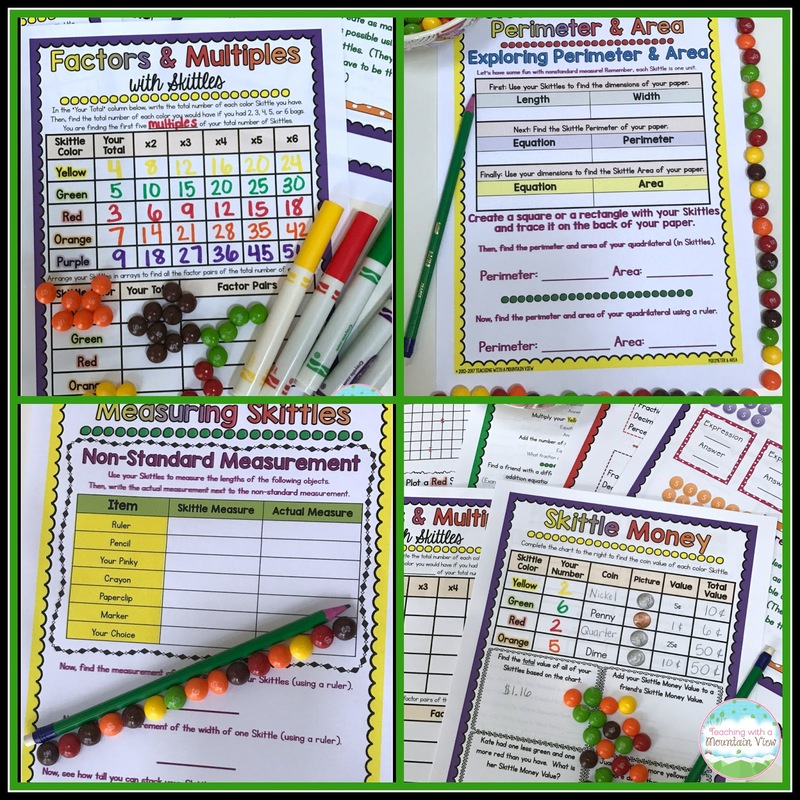 I've used Skittles to teach factors and mutliples, place value, perimeter and area, money, measurement, decimals, fractions, arrays, and SO much more! 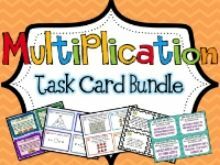 I have included all of those ideas in my Skittles math packet so that you can use them all throughout the year. Do you have a favorite way to use Skittles in your classroom? I'd love to hear about it!